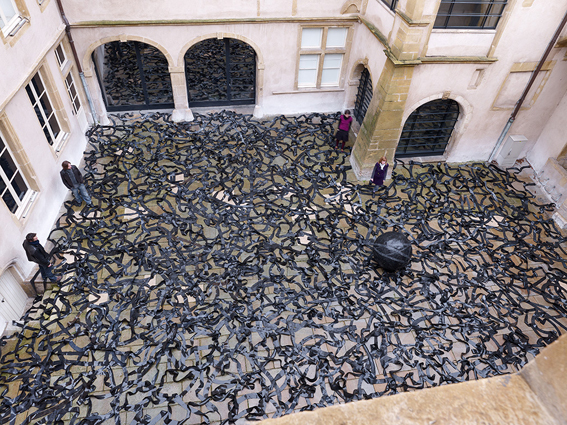 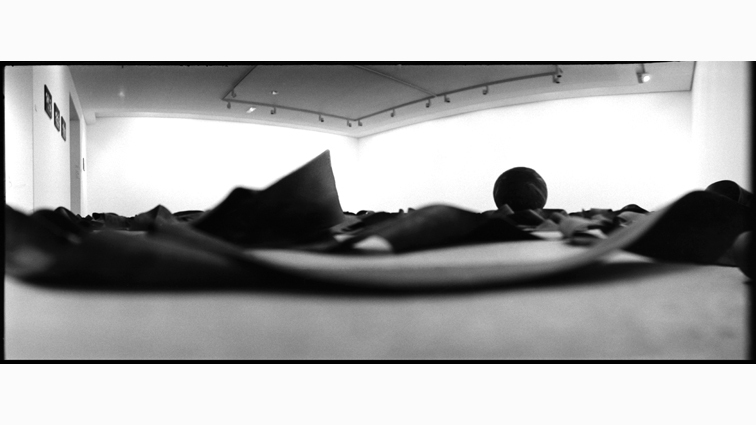 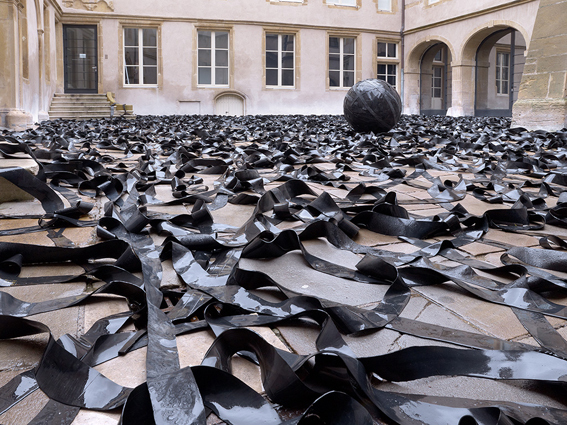 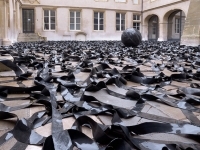 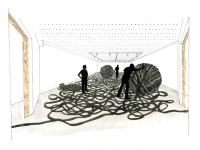 Using rubber inner tubes which have been joined together, the artist has created a twelve-mile-long band. 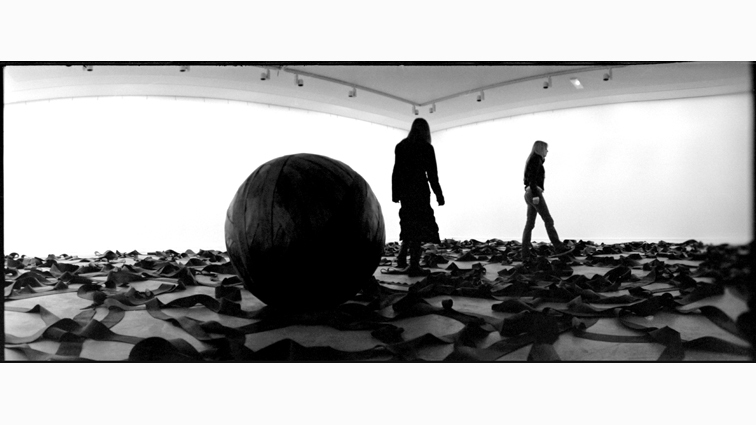 He rolled it up into a ball which grew exponentially as his strength waned. 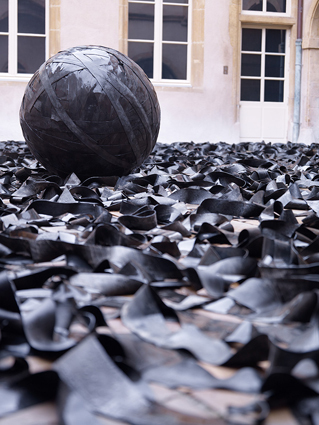 The rubber ball has replaced the rock, our modern world stands in for ancient Greece, but Sisyphus continues to repeat his absurd, existential task. 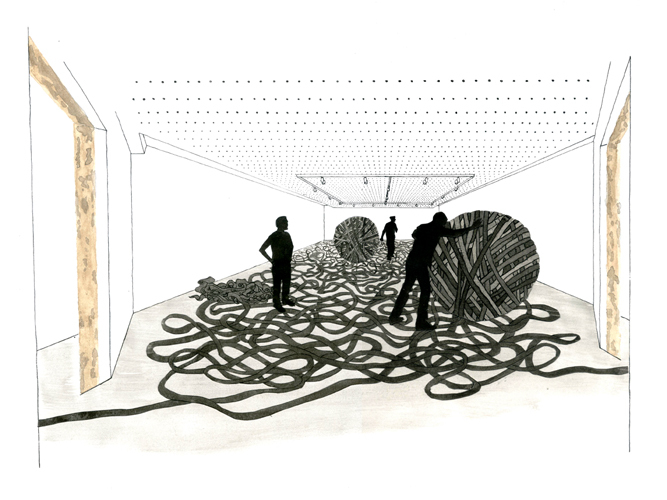 Excerpt from the exhibition's catalogue "A Serpentine Gesture and Other Prophecies"